It's asparagus season! And, if you've ever grilled a big bunch of asparagus on an outdoor grill, you know that it can be difficult to keep the stalks from falling through the grates. I've got a simple solution that will solve that exact problem. This post isn't necessarily a recipe, but rather a post about my technique for grilling asparagus and how I store fresh asparagus once I bring it home. When you first get your asparagus home from the store, trim a little off of the bottom of the stalks. Add an inch or so of cold water to a tall glass or large Mason jar (you may need two if your bunch is large), then stand the asparagus up in the glass - cut side down. Loosely cover with a large plastic storage bag. Store in fridge until ready to use. When you're ready to prepare, test one spear by bending it. Where it naturally snaps off is where you want to line up the remainder of the bunch and cut. Give them a quick wash under cold water and pat them dry. Spear each asparagus stalk using a water-soaked bamboo skewer. If you're grilling a large bunch of asparagus, you may need to use two skewers and do this in two groupings. Lightly coat the asparagus in a little olive oil. 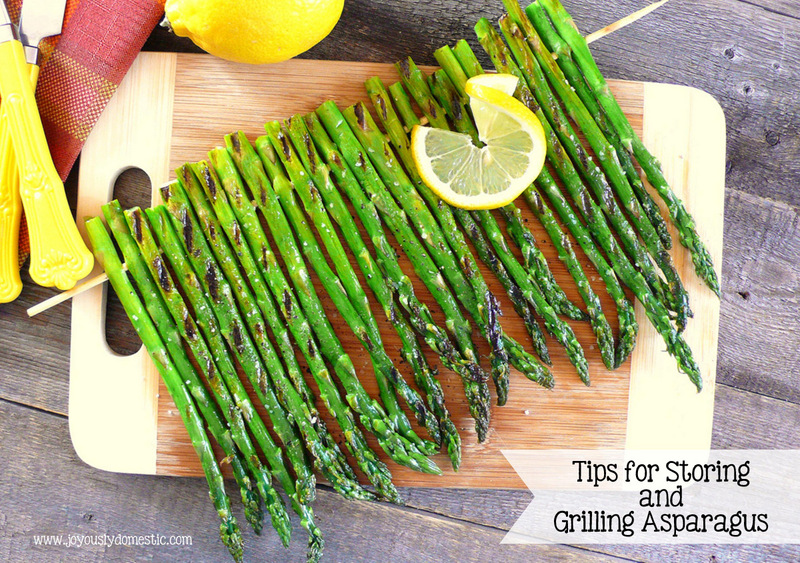 Once your grill is hot, lay the skewer of asparagus onto the grate. If the spears are not laying perfectly straight and in good contact all the way across with the grate, you can sit a foil-wrapped brick or heavy cast iron skillet on top for a few minutes to ensure even contact. Grill for a few minutes on the first side - until you just begin to see grill marks when checked. Carefully flip the skewer over and continue to grill on the other side until asparagus is bright green and cooked to your liking. Remove from grill. Season with salt and pepper. Serve with a squeeze of lemon if desired. The stalks should slide right off of the skewer for service. 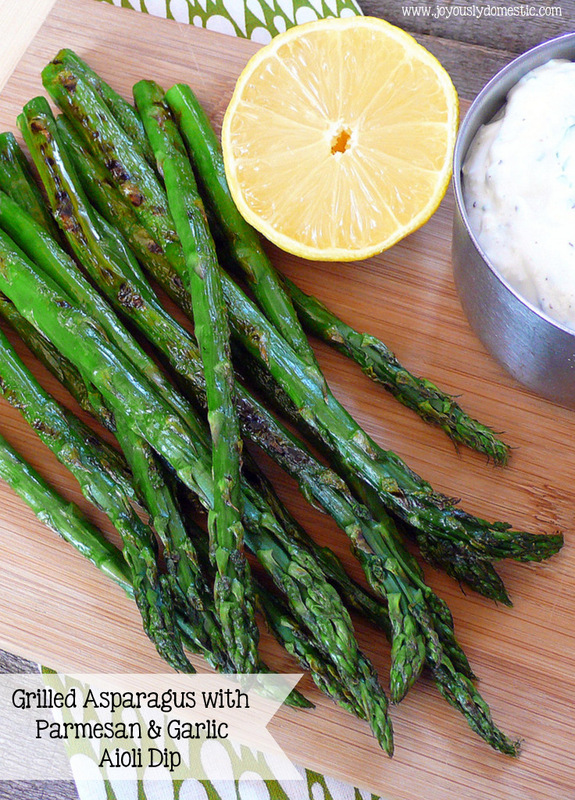 I recently shared my Grilled Asparagus with Parmesan & Garlic Aioli Dip recipe here on the blog. The dip totally amps up the flavors of grilled asparagus and is a breeze to make.